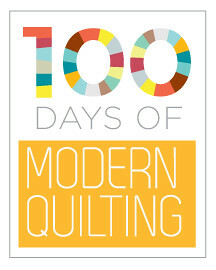 Sometimes it’s not just a specific quilt that inspires a quilt along, but an entire book! 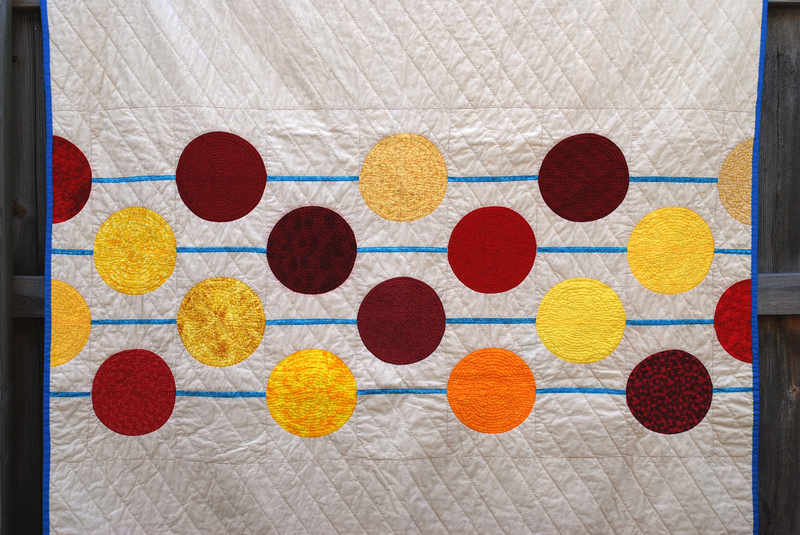 Today we are featuring Sarah Minshall’s Love Beads quilt, a pattern from Weeks Ringle & Bill Kerr’s book, Modern Quilt Workshop. 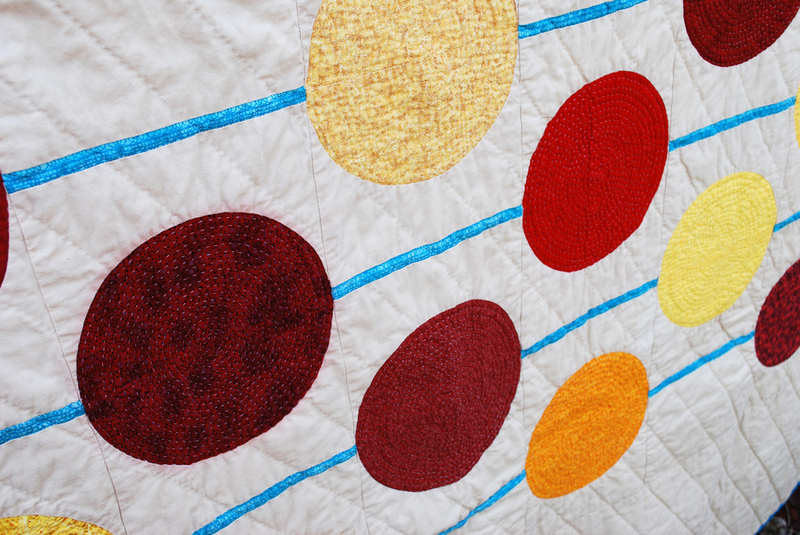 The love of the book inspired the Modern Quilt Along which started all the way back in 2005! Sarah answered a few questions for us. What do you like most about a quilt along? This was actually the only time that I’ve actually participated in a quilt-along (for the book the Modern Quilt Workshop by Bill Kerr and Weeks Ringle) and I was a pretty lousy participant at that. This quilt ended up taking me three years to finish! But I love that they help get the inspiration ball rolling when you might be stuck in a rut. There’s nothing better than a positive, helpful community to get you motivated to try something new! What do you think makes this quilt modern? I initially just loved the pattern and thought that I should use small prints on a solid background so that the pattern would really stand out. In fact, when I started this quilt, there wasn’t a whole lot of “modern” fabrics yet to choose from, and a few of the fabrics even came from my own Granny’s fabric collection. Tell us more about yourself as a quilter. I’m a sporadic quilter these days. I do so much other sewing now that I really only work on a few quilts a year. Only last year did I start machine quilting my quilts–I’ve been a hand quilter for so long that it really was a hard jump for me to make. However, I still really love the process of finishing quilts by hand–it does take a long time to do, but the end result is like nothing else to me. Sarah blogs at Hip to Piece Squares and you can see more of her quilts in her flickr stream. 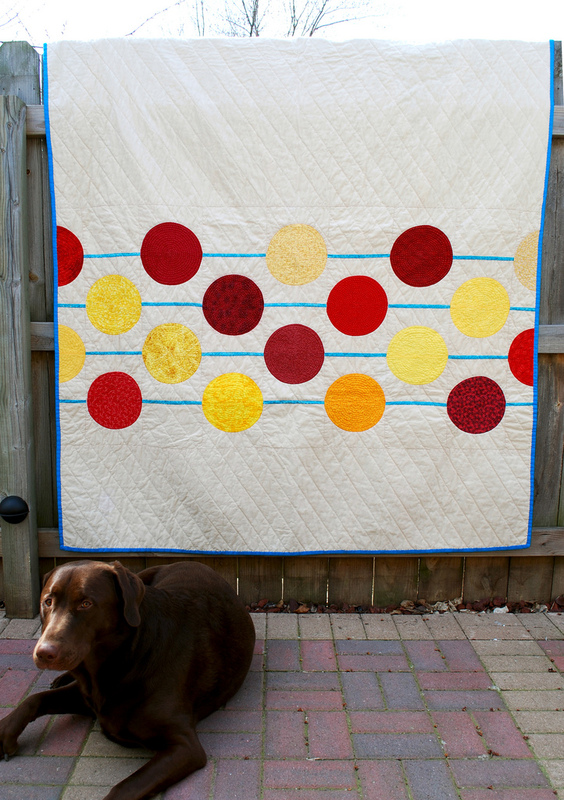 I made this quilt in black with red circles…LOVE it! I am a big fan of Weeks Ringle and Bill Kerr. Nice job!